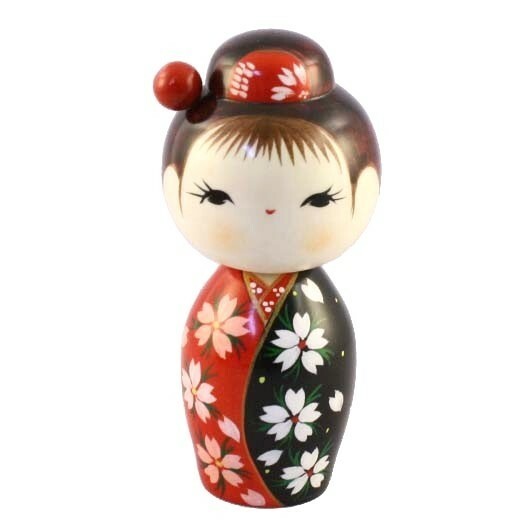 Kokeshi dolls are originally from northern Japan. 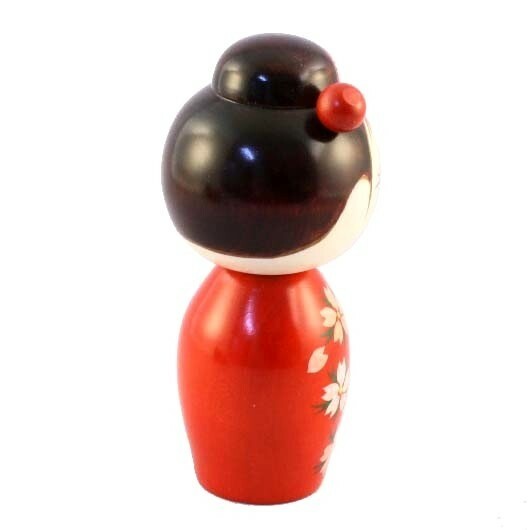 They are handmade from wood, have a simple trunk and an enlarged head with a few thin, painted lines to define the face. The body has a floral design carved or painted in various colours and covered with a layer of wax. 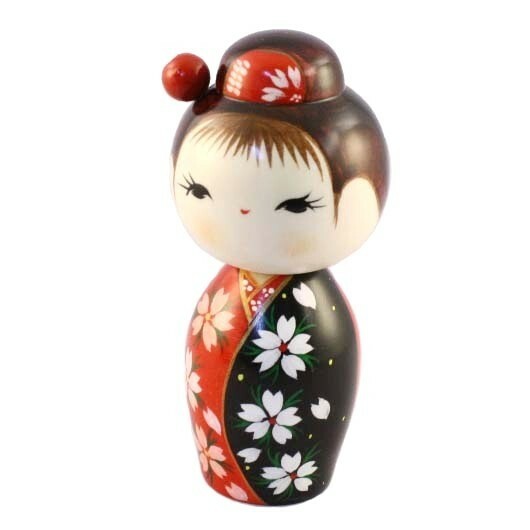 One characteristic of Kokeshi dolls is their lack of arms or legs. The bottom is usually marked with the signature of the artist.